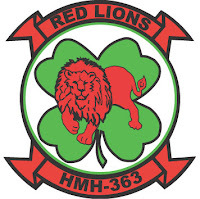 The DOD on Saturday identified the six brave men from Marine Heavy Helicopter Squadron 363 killed earlier this week in a helicopter crash in Helmand province, Afghanistan. German Brig. Gen. Carsten Jacobson, a spokesman for the NATO coalition in Kabul, said Friday that they were examining a “technical fault” as the possible culprit. 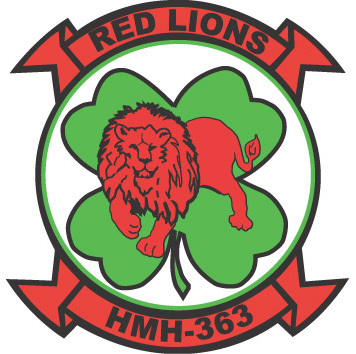 Marine Heavy Helicopter Squadron 363 known as the “Red Lions” is part of Marine Aircraft Group 24, 1st Marine Aircraft Wing, III Marine Expeditionary Force, out of Kaneohe Bay, Hawaii. The squadron consists of CH-53D Sea Stallion transport helicopters but is scheduled to transition to the new MV-22 Osprey with in the next few years. The Marines killed were identified as: Capt. Daniel B. Bartle, 27, of Ferndale, Wash., Capt. Nathan R. McHone, 29, of Crystal Lake, Ill., Master Sgt. Travis W. Riddick, 40, of Centerville, Iowa., Cpl. Jesse W. Stites, 23, of North Beach, Md., Cpl. Kevin J. Reinhard, 25, of Colonia, N.J. and Cpl. Joseph D. Logan, 22, of Willis, Texas. I wish to offer my sincere condolences to their families at this time.